Georgia Traffic Ticket Defense Lawyer Sean Goldstein, Esq. is a native of Philadelphia, PA. He attended the University of Florida and graduated with a B.S. in Journalism in 2003. He then moved to Atlanta in 2004 and attended Georgia St. University College of Law. He graduated with a J.D. from Georgia St. in 2007. 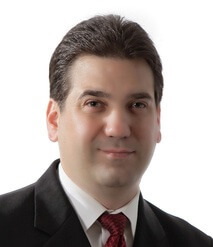 Attorney Goldstein pursued his career as a criminal defense attorney by defending indigent criminal defendants under the third year practice act before even graduating from law school. He then obtained the courtroom and trial experience necessary to be an effective criminal defense attorney by becoming an assistant public defender in Douglas County, GA in 2008. Attorney Goldstein defended hundreds of felony criminal defendants in Douglas County before he felt he was ready to offer his skills to the criminal defendants of Georgia. He left the Douglas County Public Defender’s Office to establish Goldstein Law Group in 2012. Since 2012, criminal defense attorney Sean Goldstein has split his time between defending the drivers of Georgia in their traffic ticket cases, and the citizens of Georgia in their misdemeanor and felony cases. Attorney Goldstein is proud to offer a case by case, client centered approach with no case being too small. 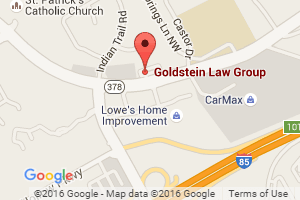 Goldstein Law Group is now centered in Gwinnett County. Attorney Goldstein is a member of the Gwinnett County Bar Association, and is currently the acting secretary for the criminal defense section. Attorney Goldstein lives in Dekalb County with his wife, Caitlyn, and his two-year-old son, Abraham.